This is a sponsored article and was made possible by Bitdefender. The actual contents and opinions are the sole views of the author who maintains editorial independence, even when a post is sponsored. 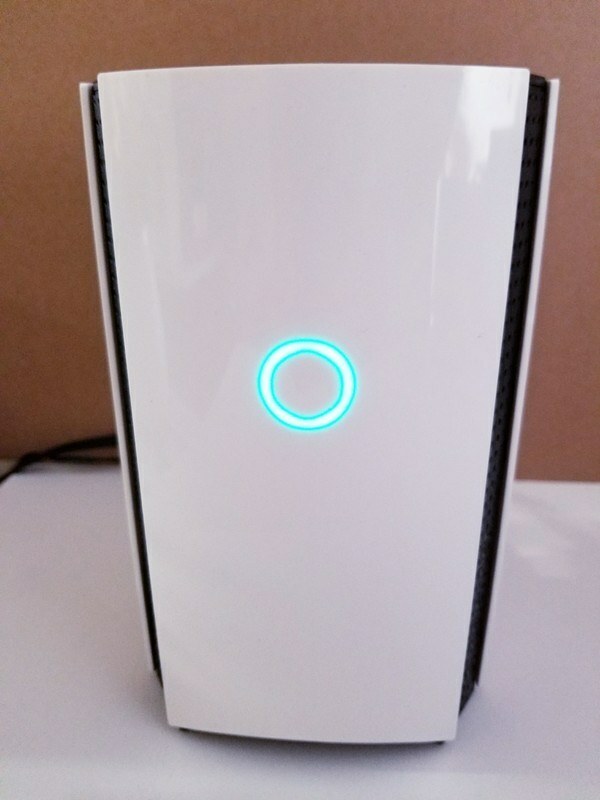 Almost a year ago we took a look at the Bitdefender BOX (v1), a small piece of hardware that acts as an antivirus for your entire home network. 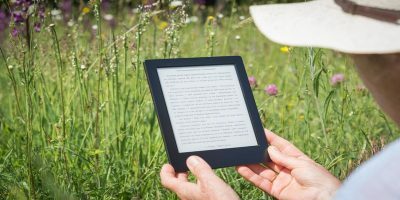 It was a joy to use, and the additional layer of security truly gave peace of mind. 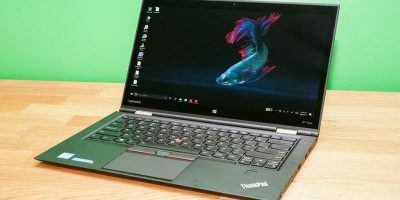 However, Bitdefender has decided to step it up and include even more features in their second generation BOX which we’ll be checking out today. 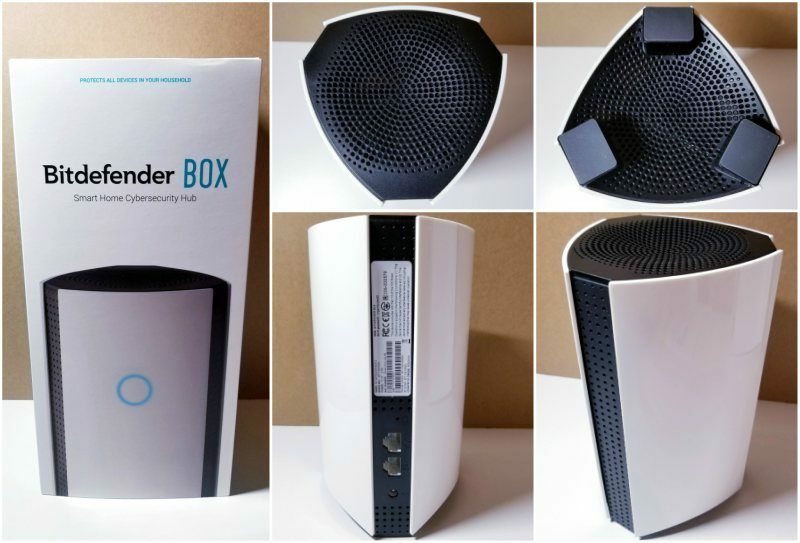 The new Bitdefender BOX (v2) is faster and more powerful than its older sibling. 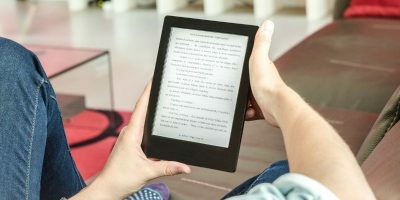 It stops attacks on a network-based level and offers complete cybersecurity for all Internet-connected devices at home and on the go (via a companion app). You’ll get real-time notifications whenever there is a problem or threat. You can also conveniently manage all of the devices on your home network. If you have children, there are even parental controls that you can use to protect them and monitor their online activities. The BOX 2 comes with the hardware, power supply, and ethernet cable. 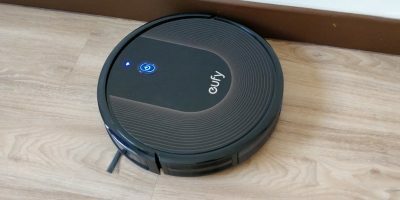 There’s also a detailed guide for setting up the device. Setup must be done from a mobile device and cannot be done from a desktop computer. Also, there’s no need to plug in the BOX just yet; the app will walk you through the entire process. Depending on how you intend on using the BOX, the setup process will be a little different. This is because you can use it with your ISP router, personal router, or as a standalone secure router. 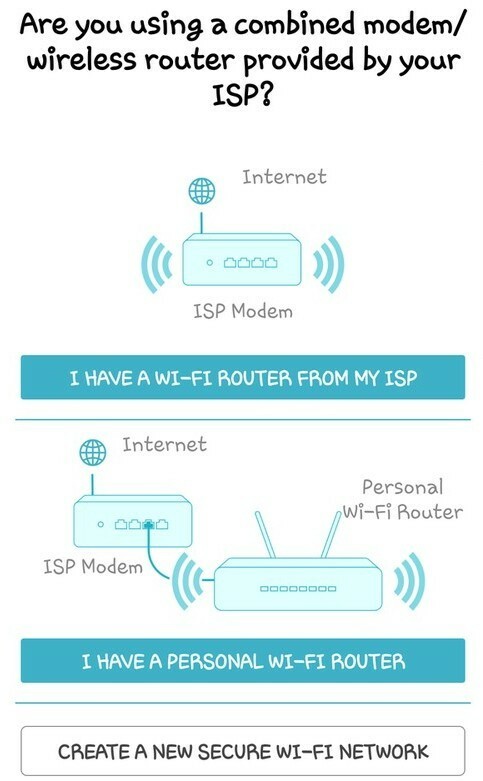 The first two options are more involved since you have to go into your router settings, but it’s all outlined in the easy-to-follow instructions so you shouldn’t have any issues. The last option is great if you want to be able to pick and choose the devices that are connected to the BOX. I chose this option because my husband, an avid Xbox One gamer, was worried that it would interfere with his gameplay and cause lag. I definitely don’t want to hear him complaining about it every day, so this option is greatly appreciated. After creating a Bitdefender account (if you don’t already have one), you’ll be taken through the process of activating and setting up your BOX. 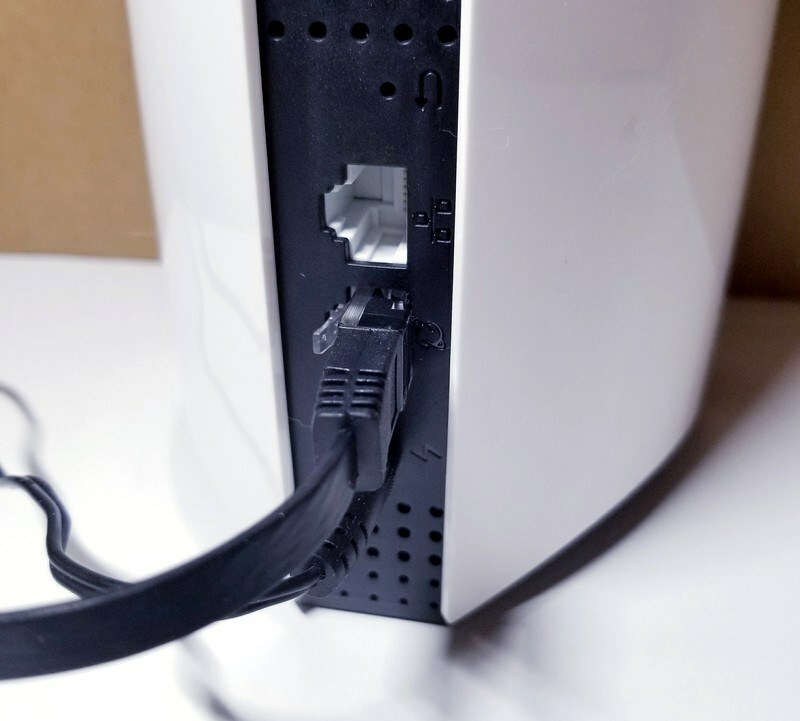 This includes plugging in the power cord, connecting to the “Bitdefender BOX” network on your mobile device, and connecting the BOX to your ISP modem via ethernet cable. You’ll then be asked which network security method you want to use. I went with “create a new secure Wi-Fi network” for standalone mode. Doing this allows you to create a new, secure WiFi network; you can even choose the name and password. 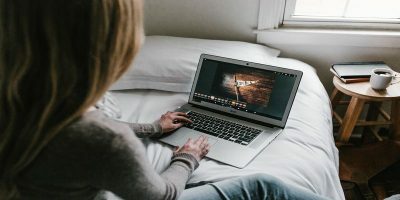 The finalization step takes a couple minutes, but after it’s complete, all that’s left is to connect all your devices (or just the ones you want) to your new secure home network. You can also choose to install local protection apps on each device so that you can stay protected even when you’re not at home. Most platforms (Windows, macOS, Android, iOS) have their own selection of apps that you can install such as Mobile Security and Parental Advisor. 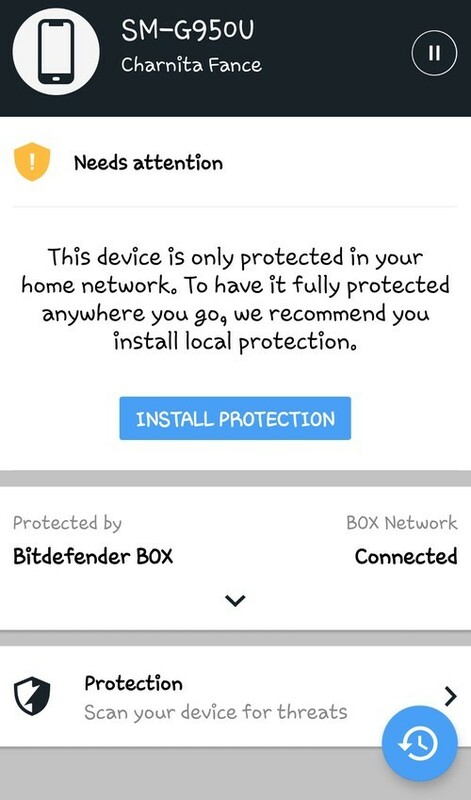 Once your devices are connected to your BOX, you can see them in the Bitdefender Central app. If the device has an issue, the app will let you know. When I first connected my Android device it told me that it needed attention. This is because I hadn’t installed any local protection apps on it yet, so I chose to install the Mobile Security app. While these other apps are a nice addition, I don’t think they should be forced on users, as some may prefer another security app, or their phone may already have some great built-in security features (like my Galaxy S8). If you don’t install it, though, you’ll be stuck with Bitdefender Central always telling you that your device needs attention. 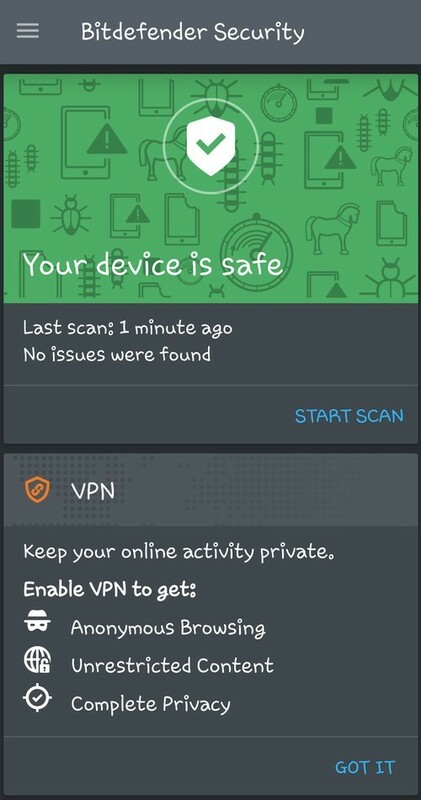 On the plus side, there are some useful features in the Mobile Security app such as VPN, anti-theft (remote locate, lock and wipe, snap a photo on failed unlock), app lock, and web security. 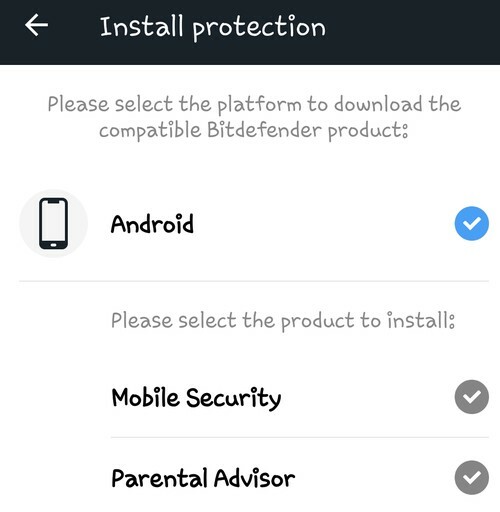 Once you install the Mobile Security, you’ll get extra “Privacy” features inside the Bitdefender Central app (also accessible via the Web): you can locate your device, send a message or play a sound, and lock it. 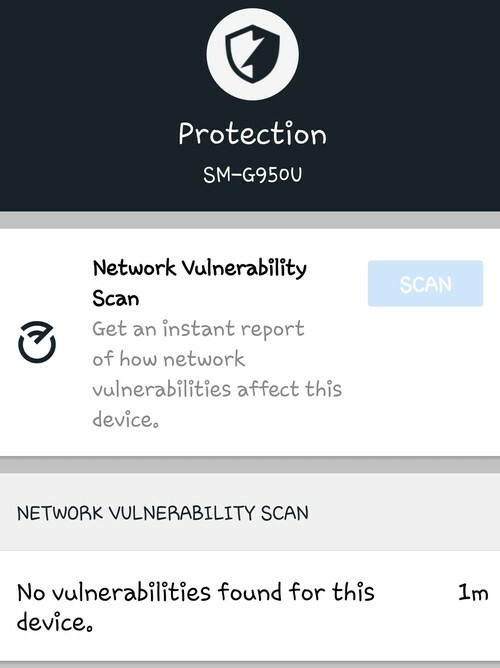 In the app you can do network vulnerability scans to ensure that your device is safe and secure. The scan only took a minute on my device and let me know that there were no vulnerabilities upon completion. I like that you can edit the device name and type in case the app happens to get it wrong. 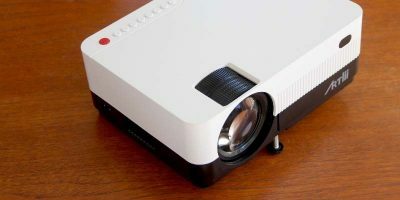 There are a lot of mobile, gadgets, and smart home devices to choose from like baby monitor, garage door, GPS, smart door lock, smart plug, printer, thermostat, and TV. I have a couple CPU intensive games that I play regularly on my Android device, so the ultimate test (for me) was to play them and see how well they performed when connected to the BOX 2. 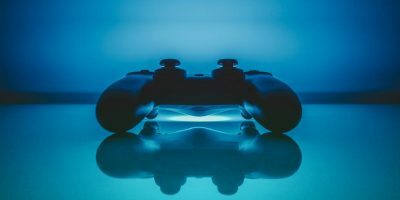 I was a little hesitant because I knew that I would not be able to use the BOX if my game performance wasn’t up to par — it would ruin the experience. I did notice a little sluggishness at first, but after restarting my device, everything was nice and smooth. From then on I didn’t experience any lag or choppiness in the graphics, thankfully. I also decided to connect my tablet and see how videos from YouTube and Plex would play on it since that’s mostly what I use it for. There was no disappointment there either. Using devices connected to the BOX 2 is just like using devices connected to my regular home network. I even did a speed test and was very happy with the results. 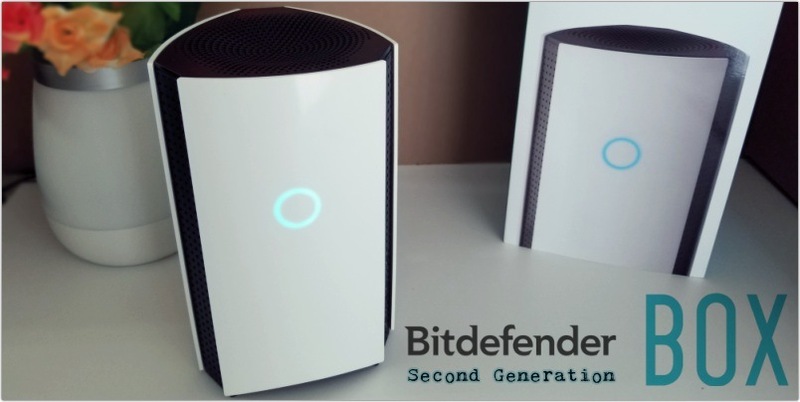 Bitdefender BOX 2 quietly works in the background and around the clock protecting your home network and devices. It’s extremely stylish and will fit in with just about any home decor. Even though it’s taller and takes up more space than the original BOX, I do prefer its sleek, modern design. The circular LED light on the front is also a welcome upgrade from the original (which was underneath); it’s easier to see since it’s right in your face. It also changes colors and even movements depending on what the BOX is doing (e.g. it spins during the setup process). BOX 2 comes with a host of great features and even more coming soon — like anti-cyberbullying and anti-predator. The annual subscription fee, which includes Bitdefender Total Security 2018, is even waived for the first year which is a generous added bonus. 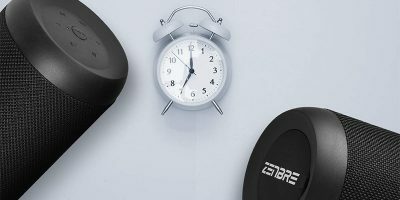 Compared to similar devices, it’s the obvious MVP and for good reason. 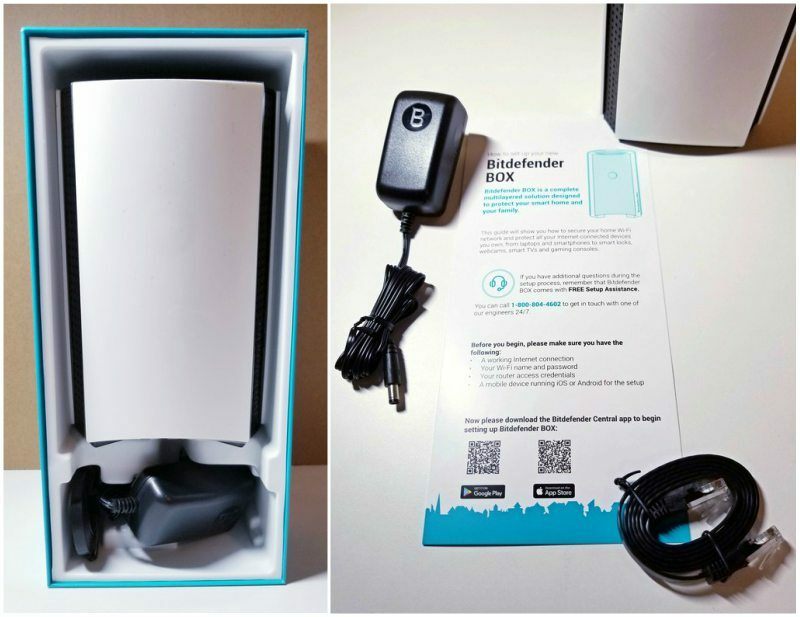 What do you think about Bitdefender’s newest security BOX verses the first version? Fileless Malware: What Is It and How Can You Protect Yourself From It?